A warm welcome back to Berlin's SVN! 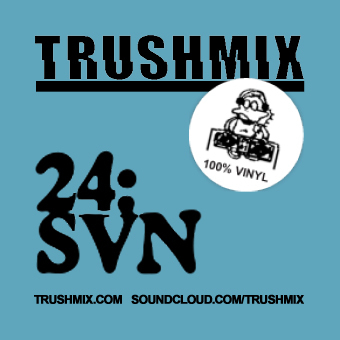 A few months ago he blew us away with Trushmix 12, an atmospheric mix of experimental ambient soundscapes. Never predictable, he now follows up with a proper oldschool junglist drum and bass session from his underground headquarters at Neues Deutschland. Check it! And don't forget to be on the look out for exciting new releases from this guy – busy as always producing gold from the underground!